Over 700 children are abducted EVERY day. Joey Salads goes up to children and starts talking to kids as strangers, while their parents watched. When asked how often they tell their kid not to talk to strangers, one parent replied “Every day.” Equipped with a dog called ‘Donut’, Joey Salads goes over to kids and easy starts chatting them up while their parents watched the results unfold in disbelief. In most cases, kids were very trusting and quick to talk to a complete stranger. In some cases, the kids even started to leave the park with a complete stranger without even asking the permission of their parents. This is horrifying to think that some kids are so trusting of strangers. 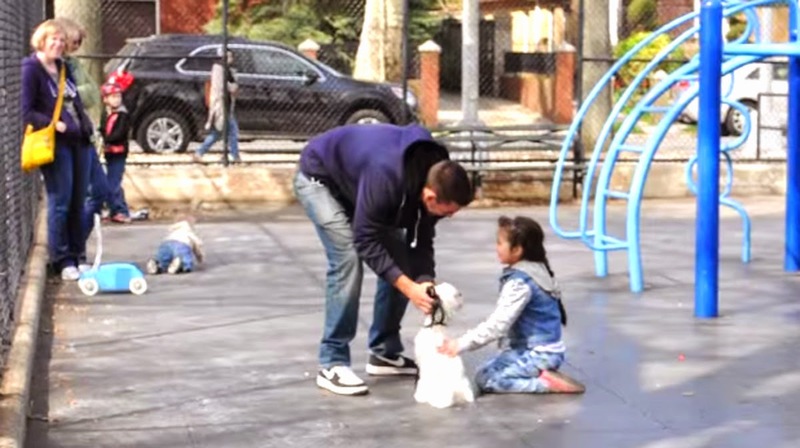 This social experiment is crucial to be seen by everyone to spread awareness, and for parents to educate their kids on the seriousness of not talking to strangers – it could save a child’s life one day. Please SHARE this video with everyone you know – it could save a child’s life.